Remodeling Solutions is a full-service home remodeling and design company located in Steubenville, Ohio. 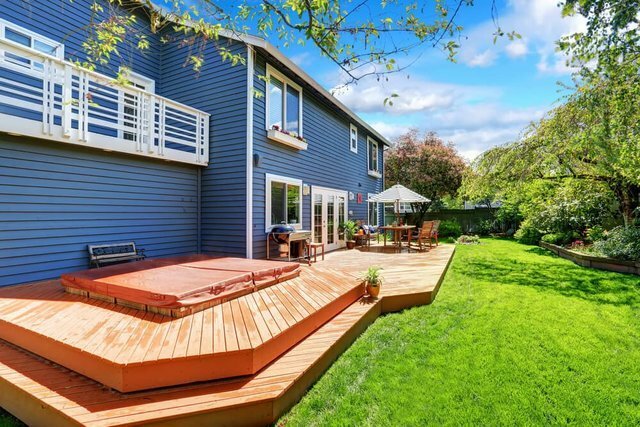 From luxurious kitchen and bath remodeling, fencing and decks that create the perfect outdoor living space or a whole home transformation, we can make your vision a reality. We care about our clients, and will explore your home routine so that we can create the space that best supports your lifestyle. We want you to make your home a direct reflection of you. Our clients become part of our family and we’re grateful to be welcomed as a trusted guest in your home. At Remodeling Solutions, if we can create a space that your family wants to spend more time in, then we have helped you improve your world. That’s why Remodeling Solutions is Turning Houses Into Homes. Feel free spending time viewing our portfolio of projects and finding out more about our services. Home is the place where our families have come together for many generations. Let Remodeling Solutions update, enlarge, beautify and add to the efficiency of your existing spaces so your family traditions can live on and continue to thrive. If you have mobility constraints, need help with regular home maintenance or just want to be able to stay safely in your home longer, Remodeling Solutions has the expert knowledge and skill to improve the accessibility throughout your home. We’ll take care of all the messy chores that are a necessary part of maintaining your home, including cleaning drains, changing furnace filters, caulking counters, showers and tubs, cleaning refrigerator coils and dryer vents. You’ve got better things to do! Step into the Remodeling Solutions showroom for the latest styles of bath, kitchen and lighting products from top manufacturers. We make shopping easy and enjoyable by offering a variety of top quality products and samples that you can see for yourself in our idea inspiring showroom. Whenever you are ready to start a Home Remodeling project the first thing you will want to decide is if you are going to do it alone or with help. With this in mind, consider us here at Remodeling Solutions. Due to our strong team of builders as well as years of skills built through the years, you can’t go wrong coming to us for a Kitchen Remodeling as well as Remodeling Maintenance. We strive for the best work possible. Because of this we give you Custom Home Designs created for a one of kind feel for every part of your home. Kitchen Remodeling is a the biggest specialty of Remodeling Solutions. Therefore each piece of the project will created with extreme care and efficiency. Also due to our Remodeling Maintenance plans, your Kitchen Remodeling project can remain in top shape with our team behind it. Whether it is Custom Home Designs or just simply maintaining the old, we got you covered! Remodeling Solutions is here to take care of all those issues that might happen. Therefore you can no longer have to worry about those kinds of things that would occur in a Home Remodeling. Remodeling Solutions has a foundation that has a goal to do our best as well as be the best in our field. In addition, at the end of the day, the customer is always the most important. Therefore each member of our team have a commitment to give everyone the same treatment as well as the same service. Together with a great tools and materials, you’re getting a great Home Remodeling source with Remodeling Solutions. Also you have to remember our services don’t just stop at Custom Home Designs. Remodeling Maintenance is a thing that we also offer. In other words, once the job gets completed, you can keep it looking brand new with continued service by our team. Whenever it comes to maintenance, most people don’t really want to do it, or in the event that they are afraid to, it often goes undone. As a result, provided that you don’t have the time, it can result in some bad consequences. Instead of risking it, our business offers Remodeling Maintenance that is available in two great packages. Either for outdoor, indoor as well as both. In addition, there are things available for our older loved ones as well. With this in mind, come to Remodeling Solutions for all your needs. In addition to our Home Remodeling as well as Kitchen Remodeling, we have Custom Home Designs. Instead of settling with people that don’t treat you like apart of the team, come visit us today.